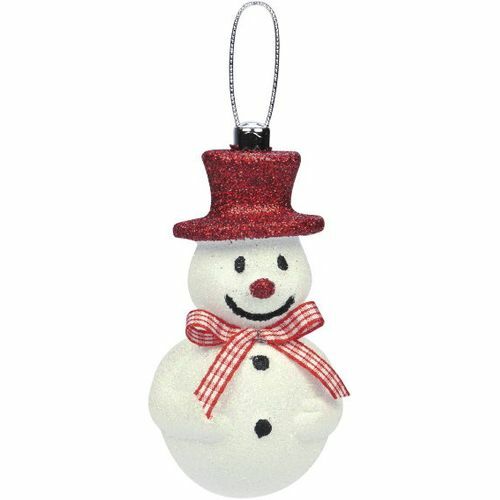 Set of two traditional frosted Snowman baubles which come complete with a silver hanging loop, red chequered ribbon bow, and a glittered red top hat. Weiste high quality shatterproof Christmas tree decorations make an ideal gift or finishing touch to any Christmas tree. The trademark WEISTE stands for craftmanship, reliability and quality, the company was founded in Finland in 1924 by school teacher Kalle Aimo Weiste and it has remained a family business to this day.